The decision in R (JS)(Sri Lanka) v Secretary of State ( UKSC 15) is the first of a series of cases before the higher courts to reach the Supreme Court on the issue of exclusion from refugee status under article 1F of the Refugee Convention. In recent years this provision has come to be applied against an increasing number of individuals claiming refugee protection. As such the decision represents significant guidance in the area. The case concerns article 1F(a) of the Convention, which excludes an individual from protection where “there are serious reasons for considering that he has committed a crime against peace, a war crime, or a crime against humanity, as defined in the international instruments drawn up to make provision in respect of such crimes”. It concerned a 28 year old Sri Lankan Tamil, who in 1992 at the age of 10 became a member of the Liberation Tigers of Tamil Eelam (“LTTE”). He was actively involved in military operation from the age of 16 until 2006. He learned in late 2006 that his presence in Colombo had been discovered and he made arrangements to leave. He arrived in the UK in February 2007 and claimed asylum 2 days later. The Secretary of State refused his application solely by reference to article 1F(a) on the basis that from his 18th birthday he had continued to operate within the LTTE and as such was a voluntary member of an organisation that had been responsible for widespread and systematic war crimes and crimes against humanity. The respondent (“JS”) sought judicial review of the decision, leave was granted and an order made for the substantive challenge to be heard by the Court of Appeal ( EWCA Civ 364). Toulson LJ giving judgment in the case and allowing the appeal, found that the Secretary of State failed to address the critical questions. In particular he failed to consider whether there was evidence affording serious reason for considering that JS was party to the design to carry out international crimes, and had participated in a way that made a significant contribution to the commission of such crimes and that he had done so with the intention of furthering the perpetration of such crimes. The Secretary of State appealed to the Supreme Court. Lord Brown, giving the leading judgment, with which all their Lordships agreed, held that Secretary of State’s appeal should be dismissed. His reasoning was based on the following. The starting point for considering whether an individual is excluded from protection under article 1F(a) should be the Rome Statute of the International Criminal Court (“the ICC Statute”). The statute contains definitions of crimes against humanity (article 7), war crimes (article 8), individual criminal responsibility (article 25), mental element (article 30), and responsibility of commanders and other superiors (article 28). Lord Brown also considered the Statue of the International Criminal Tribunal for the former Yugoslavia with respect to its definitions of war crimes (articles 2-5), individual criminal responsibility (article 7) as interpreted by case law of the ICTY Appeals Chamber, although he derived little by way of assistance from the case law of direct relevance to the issue in the present case. Next, he considered the starred decision of the IAT, Gurung v SSHD  Imm AR 115 on which the refusal was based in the case. That decision in turn relied upon the UNHCR post September 11, 2001 document, Addressing Security Concerns without Undermining refugee Protection. The UNHCR’s position was further set out in a letter to the parties dated 8 December 2009. 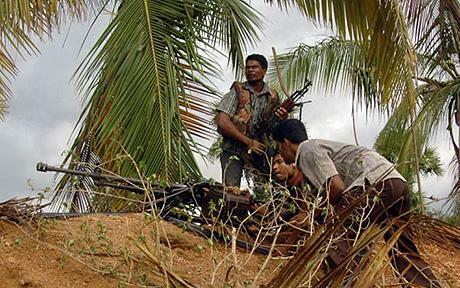 Finally, the court considered the domestic case law on article 1F, including the Court of Appeal decision in KJ (Sri Lanka)  EWCA Civ 292 in which it was noted that LTTE was an organisation which pursued its political ends in part by acts of terrorism and in part by military action directed against the government. As such the application of article 1F(c) (in issue in that case) was much less straightforward. In concluding that the Secretary of State’s refusal could not stand, Lord Brown first found that it could not be said that the LTTE was predominantly terrorist in character and as such there was not question of presuming that JS’s voluntary membership of the organisation amounted to personal and knowing participation amounting to complicity in the crimes in question. Nor was his “command responsibility” a basis for regarding him as responsible for war crimes as his command was of a combat unit and there was no suggestion of article 28 ICC Statute liability. Secondly, and importantly, he stated that Gurung should not in future be accorded the same oracular standing as it appears hitherto to have enjoyed. As such the Court distanced themselves from the UNHCR’s post 9/11 guidance and a decision of the Canadian Federal Court of Appeal to effect that mere membership may be sufficient for an organisation whose aims, methods, and activities are predominantly terrorist in character. Rather Lord Brown stated that it was preferable to focus at the outset on the specifics of the particular case – factors relating to the nature of the organisation and the individual’s involvement with it. He expressly rejected the Gurung approach to a continuum for war crimes cases, stating that in reality there are too many variable factors involved to make it helpful to try and place any given case at some point along a continuum. Thirdly, as regards the correct approach to article 1F he stated that its scope derived from international criminal statues was wide, and notably wider than any recognised basis for joint enterprise criminal liability under domestic law. Further that it disqualifies those who have made a substantial contribution to the crimes including those on control of funds of an organisation known to be dedicated to achieving its aims through violent crimes. On the issue of mens rea, Lord Brown adopted the Tadic approach to effect that it would be sufficient to establish that the accused had personal knowledge of such aims and intended to contribute to their commission. Fourthly, as regards the standard of proof the Court endorsed the approach of Sedley LJ in Al-Sirri v Secretary of State for the Home Department ( EWCA Civ 222) setting the standard above mere suspicion, and noting that “serious reasons for considering” obviously imports a higher test for exclusion that would say an expression such as “reasonable grounds for suspecting”. The decision overall represents a welcome clarification of this complex area of law in so far as the basic test is concerned, in rejecting the approach taken in Gurung of trying to place any given case on a sliding case, and in favour of considering cases on their own specific facts. It also emphasises the primacy of international criminal law in the interpretation of the actus and mens rea, as the guiding principles. Whilst the judgment does not otherwise seek to pre-judge future cases, which will be decided on their own facts, it is important to note that it was common ground between the parties in the case that the article must be interpreted restrictively and used cautiously. It is perhaps to be regretted that there was no separate representation by UNHCR in this case given its special mandate in the area and its well established assistance to the higher courts in interpretation of the Convention. This is particularly so given the number of exclusion cases that are likely to come before the tribunals and higher courts. Leave a reply on "Case Comment: R (JS)(Sri Lanka) v Secretary of State for the Home Department  UKSC 15"